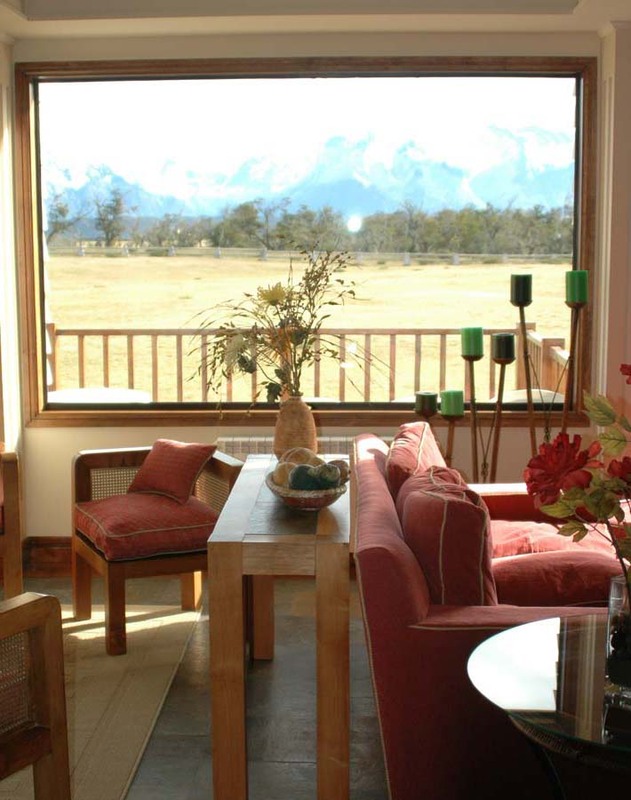 Included – All horse riding, accommodation, meals, drinks, wine with meals and entrance fees to park. 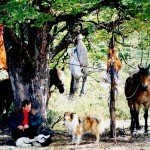 Excluded – Flights, airport taxes, transfers, meals & drinks outside camping. 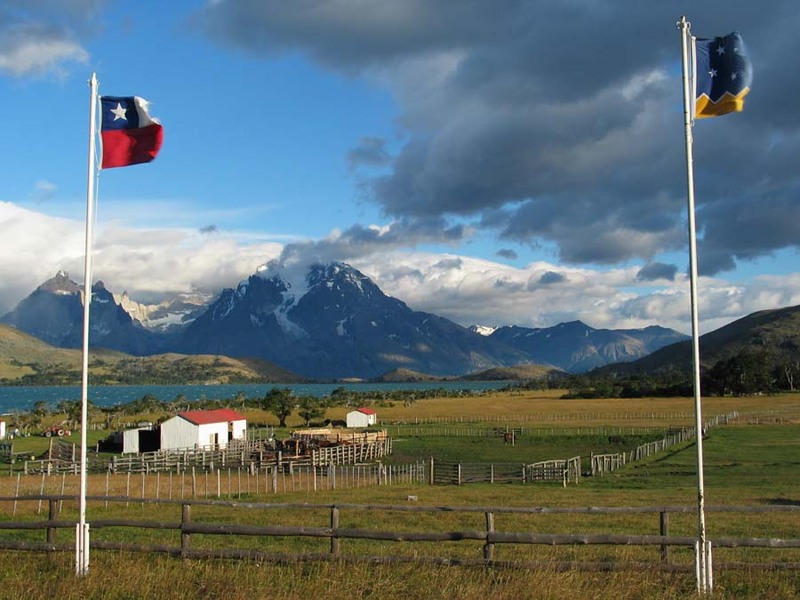 International flights to Santiago, followed by an internal flight to Punta Arenas. 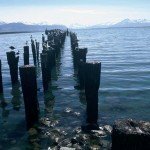 There is a very good bus service to Puerto Natales from Punta Arenas or we can easily arrange a private transfer to pick you up at the airport. 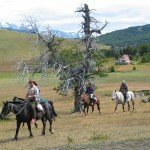 The ‘Glacier Riders’ as they like to call themselves, often keep in touch with each other years after their riding adventure – there’s something unforgettable about the shared experiences enjoyed on this ride with riding group reunions cropping up all over the world! 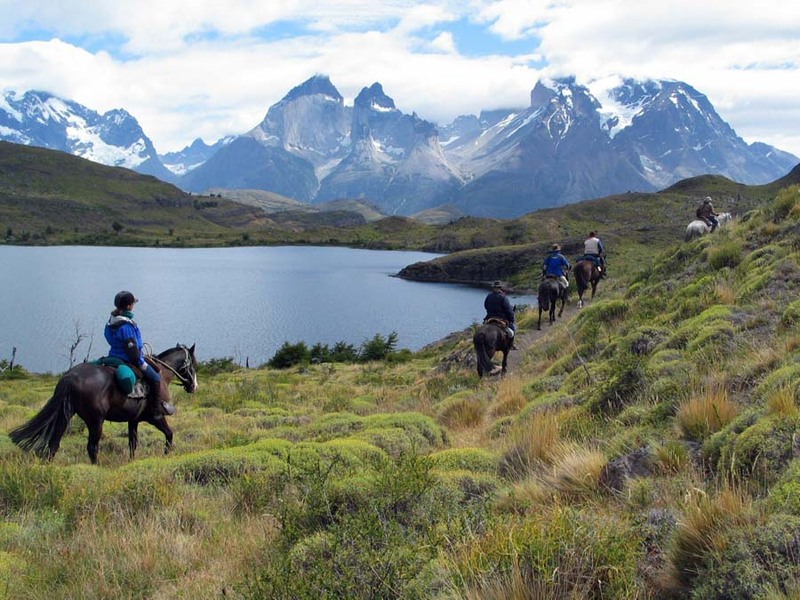 The ride kicks off with a boat trip through Last Hope Sound and into the national park pf Torres del Paine. 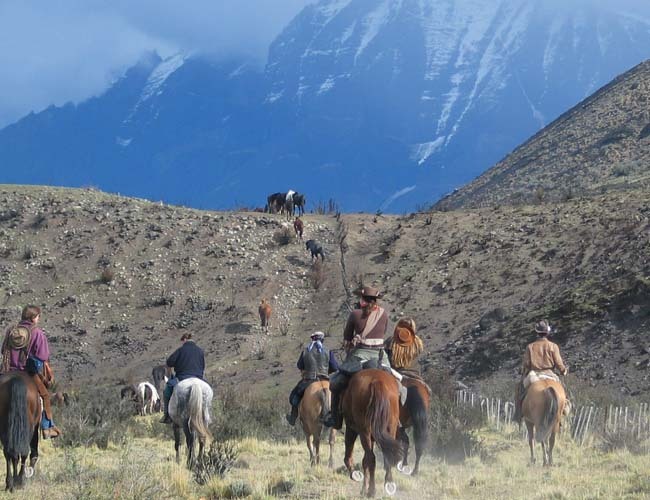 Riding local Criollo horses, you follow an almost circular route through the park. 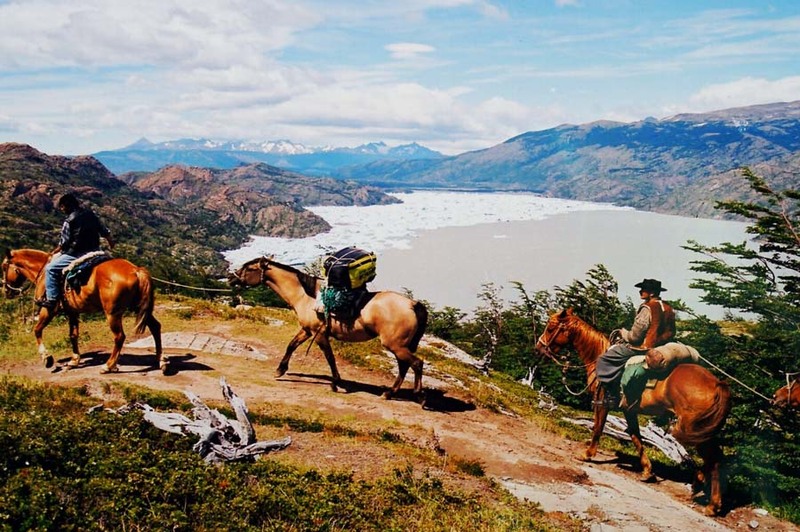 There’s slow riding on the mountain paths and fast riding across the open pampas, each turn of the trail affords a more breath-taking vista than the last. 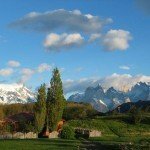 Weather permitting, you get to see the impressive Torres from both the south and the north side of the massif. 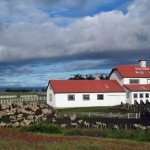 Riders will experience a first hand view of Patagonian estancia life, which includes the joys, threats and difficulties posed by farming sheep and cattle in the area. 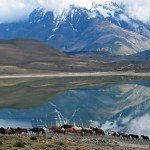 The route offers plenty of diversity with rides across open pampas, rides to wild glaciers and iceberg filled lakes and peaceful rides through valleys and ancient beech forests. Throughout these long days in the saddle, the snow-capped mountains are never far behind. 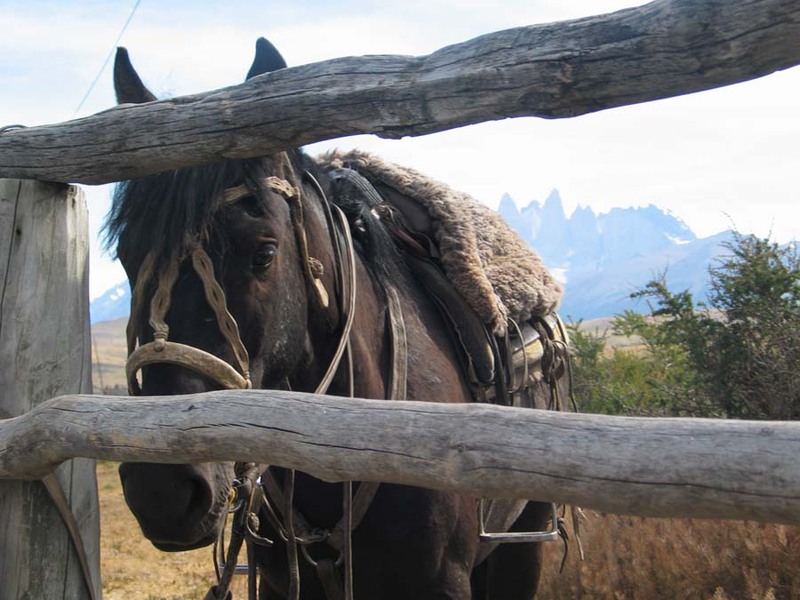 Horses on the Patagonia Trail Rides – Criollo Crosses, which vary in size with the majority being between 14hh -15.2 hh. They are strong, fit, willing and sure-footed. 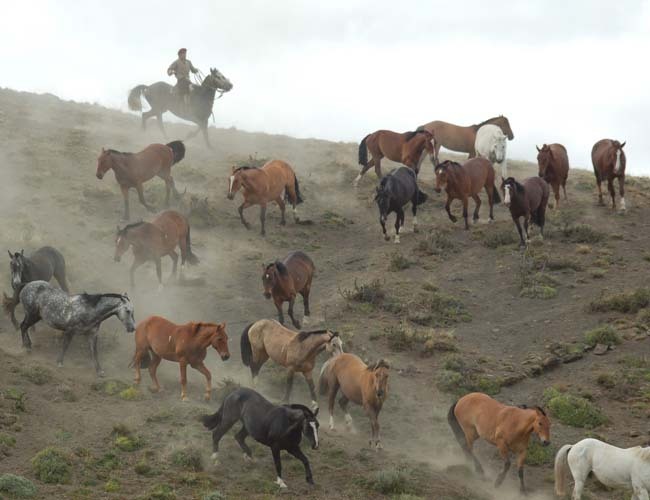 There are horses for both experienced riders and rusty riders. 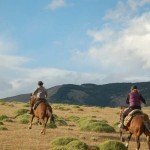 Level of Riding & Pace on the Patagonia Trail Rides – Intermediate to Advanced. A good level of fitness is required as you will be in the saddle for long hours. 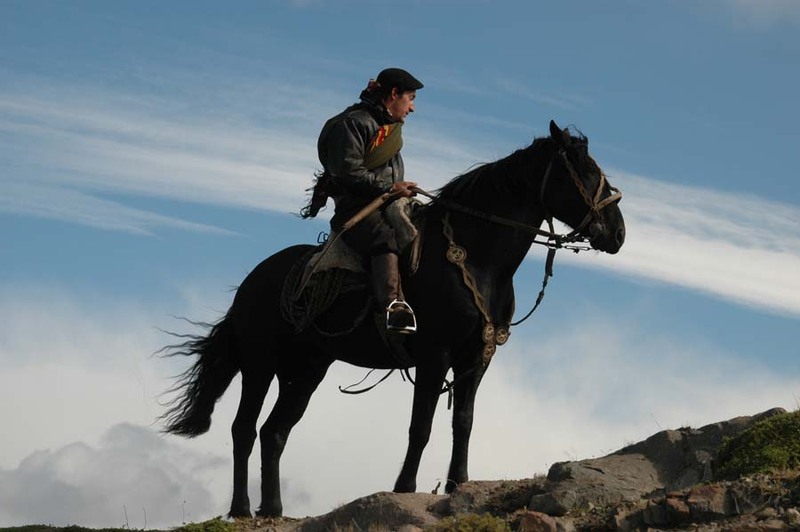 Tack – The tack is Chilean and comfortable and comprises of metal framed saddles onto which is layered felt, sheepskin and leather. 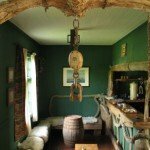 Rope, rawhide and leather form the bridles, girths and straps. 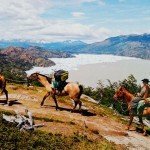 Weight Restriction on the Patagonia Trail Rides – 14 Stone / 90 kg / 198 lbs. 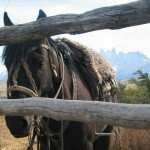 Group Size for the Patagonia Trail Rides – Maximum 12. 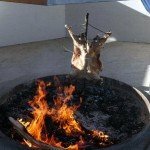 You will stay in a mix of hosterias and working or converted estancias. 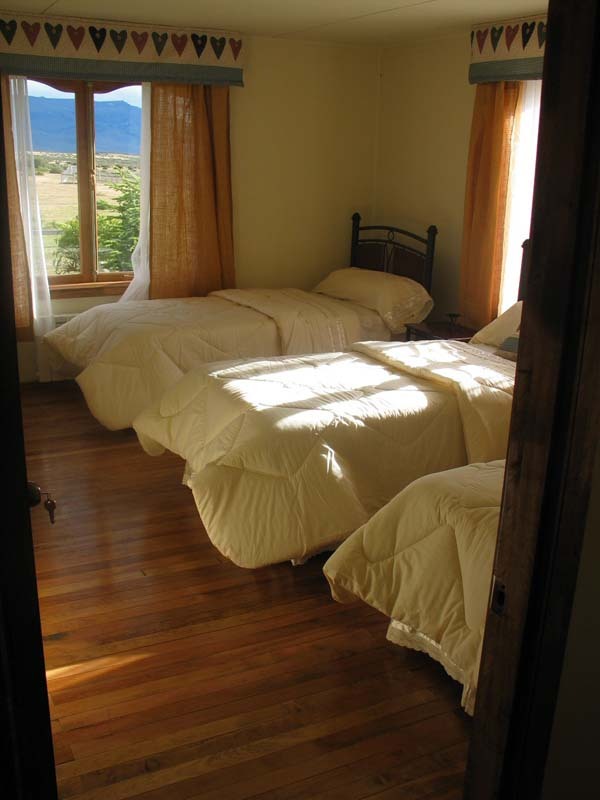 The latter offers a family stay environment which is not luxurious but is clean, comfortable and welcoming. 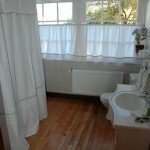 All of them are beautifully located with good views. 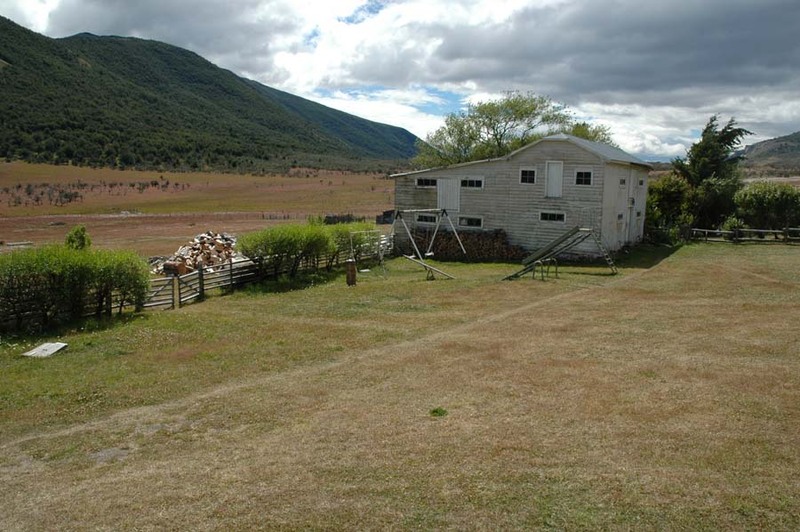 Cattle and sheep are often farmed and horses may be seen in their working environment. 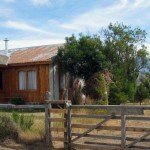 In the converted estancias and hosterias the accommodation is comfortable twin or triple rooms with en suite facilities. 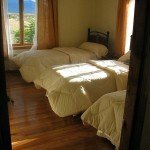 If you require single accommodation there is an extra charge, but we can't guarantee single accommodation in the 'homestay' accommodation due to their size. 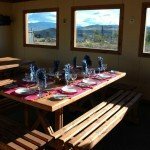 On the Patagonia Trail Rides you can expect really good food throughout, with fresh salads, bread and bbq meat, accompanied with plenty of good Chilean wine. 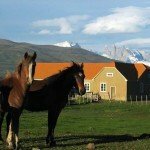 Horse Riding Holidays on the Patagonia Trail Rides are part of the collection of Zara’s Planet Horse Riding Holidays Chile. Please note that the itineraries may change depending on the weather at the time and other local conditions. 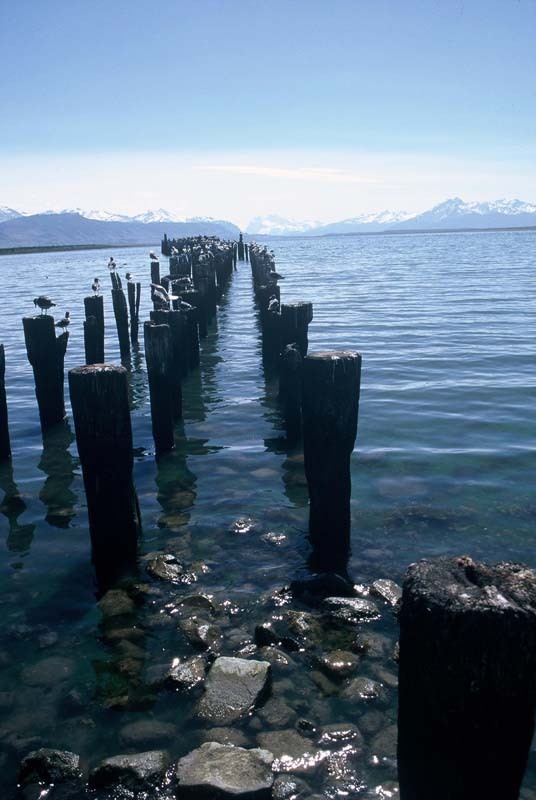 Arrive in Puerto Natales by either bus or private transfer from Punta Arenas (at extra cost). In the evening you will be escorted to dinner by your guide (payable locally) for the trip briefing. 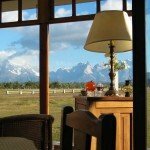 Overnight in Hotel IF Patagonia (www.hotelifpatagonia.com). 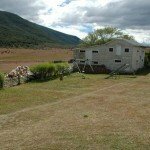 In the morning, you pack a separate bag containing only enough belongings for one night’s stay and are transferred for c. 20 minutes to Puerto Consuelo where you will meet your first Criollo horse. 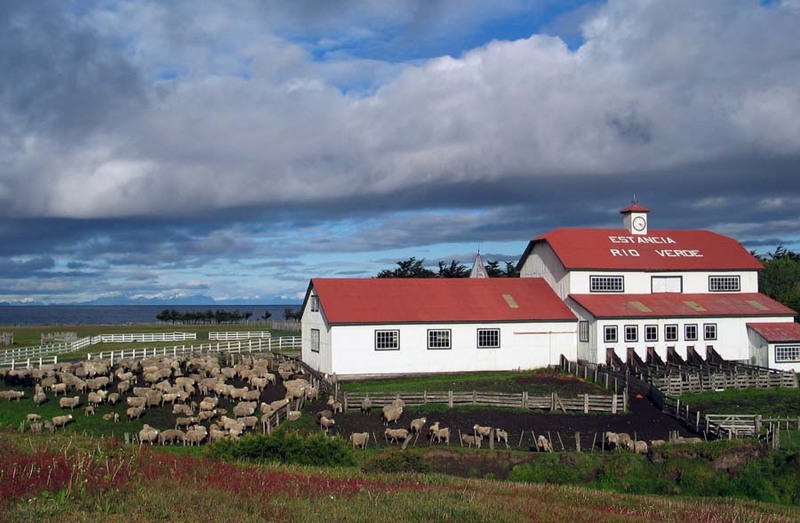 This estancia is still home to the Eberhard family who have much history in Magallanes. 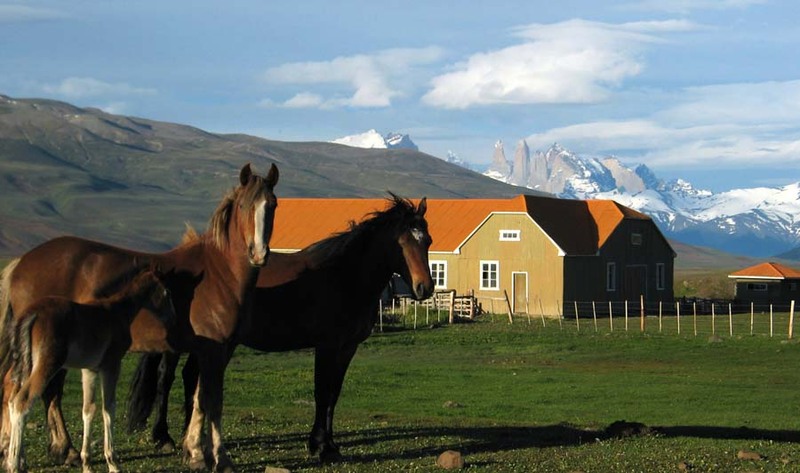 From this lovely estancia you ride along the fjord until reaching the neighbouring estancia - Estancia Perales. 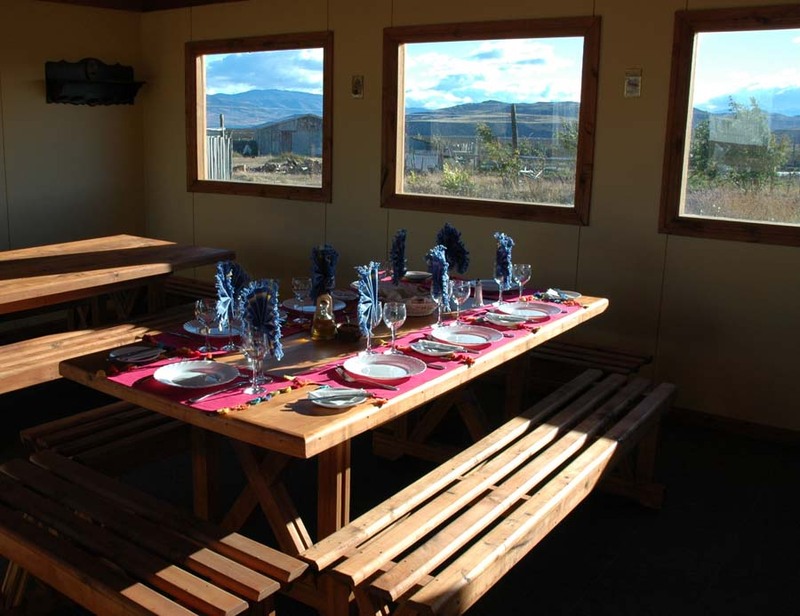 Here you will have a welcoming meal right next to the waters of Last Hope Sound. Night at estancia. After breakfast pack up and walk down to the quayside where you board a boat into Bernardo O’Higgins national park. 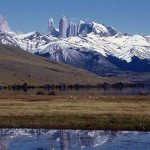 Shared by the regions of Magallanes and Aysen this is the largest national park in Chile and one of the five most expansive in the world (over 3 million hectares). 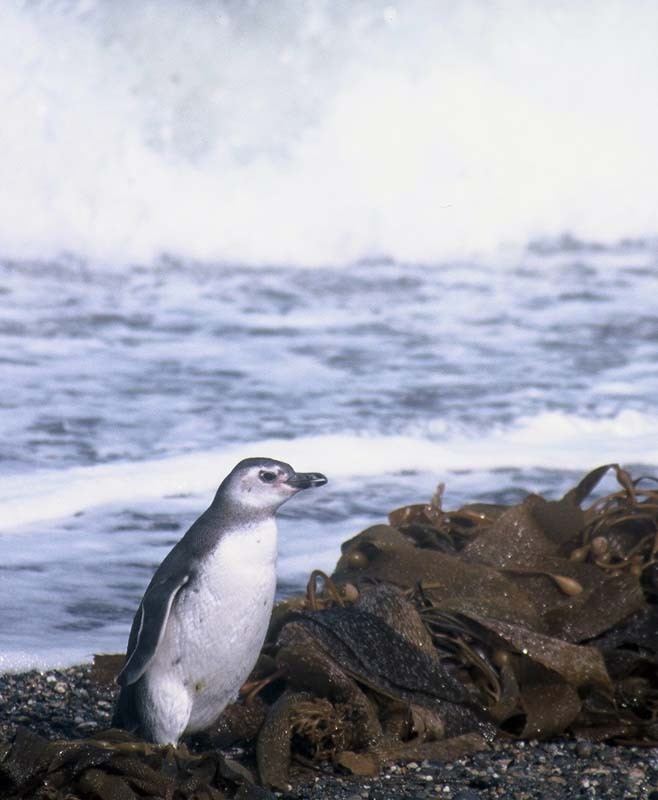 With access only via the water, the mountains or the southern ice-field itself it remains a remote and pristine corner of our planet. 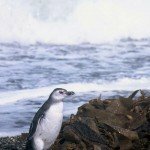 It also contains the third largest mass of ice on earth after Antarctica and Greenland so the climate is understandably extreme. 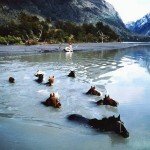 Disembark your boat here amongst the stunning old-growth forests of evergreen and deciduous southern beech trees, fire bushes and cypresses – a stunning contrast to the snow-capped peaks and glaciers in this area. 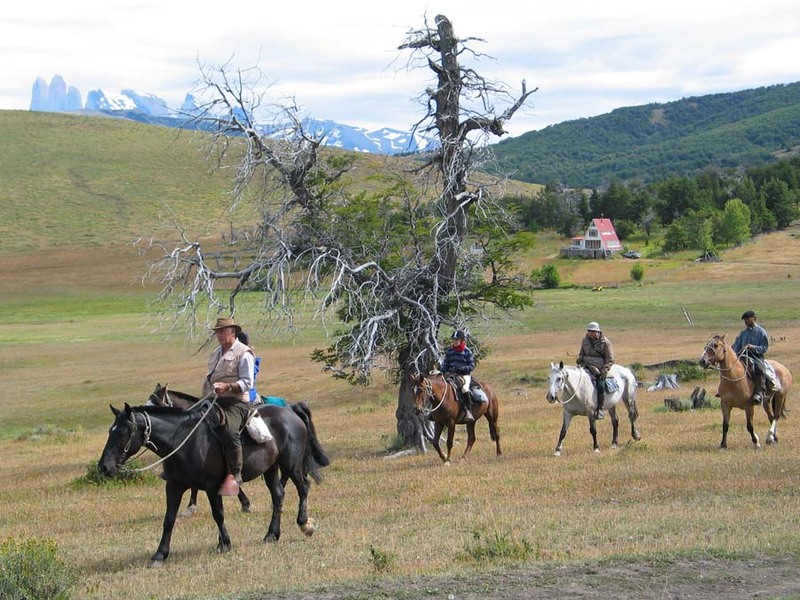 Meet your horses and set out on a trail through the forests passing pristine rivers and streams in the shadow of the Chacabuco and Balmaceda range of mountains. A fairly slow ride today to give you the chance to relax into your riding stride. 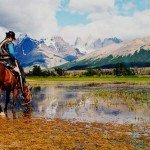 Towards the end of the trail you will cross the Nutria river and come out onto the wide open pampas which marks the end of the days ride. You may be able to up the pace as you approach the hotel Rio Serrano. 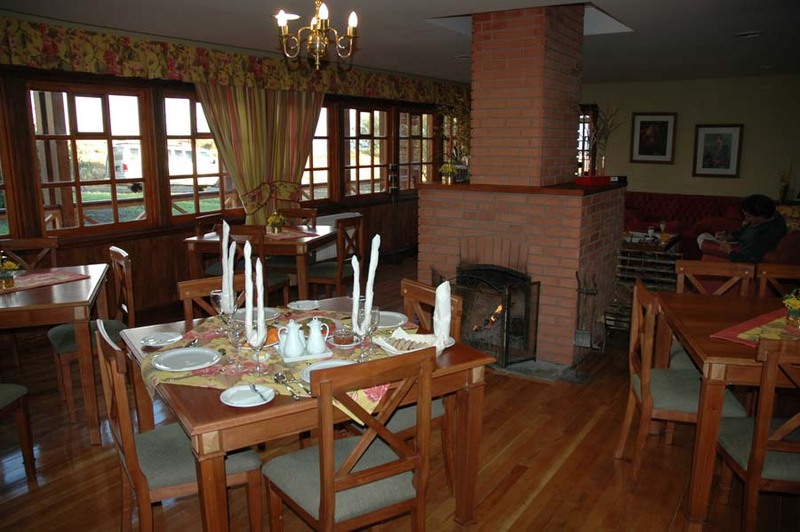 This hotel is only a few years old and offers comfortable accommodation, great views of the Paine Massif, a large living/dining area with log fires and a comfortable bar and good restaurant. 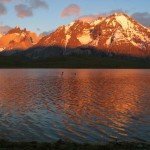 For early risers it also offers some of the best sunrises in all of Patagonia. 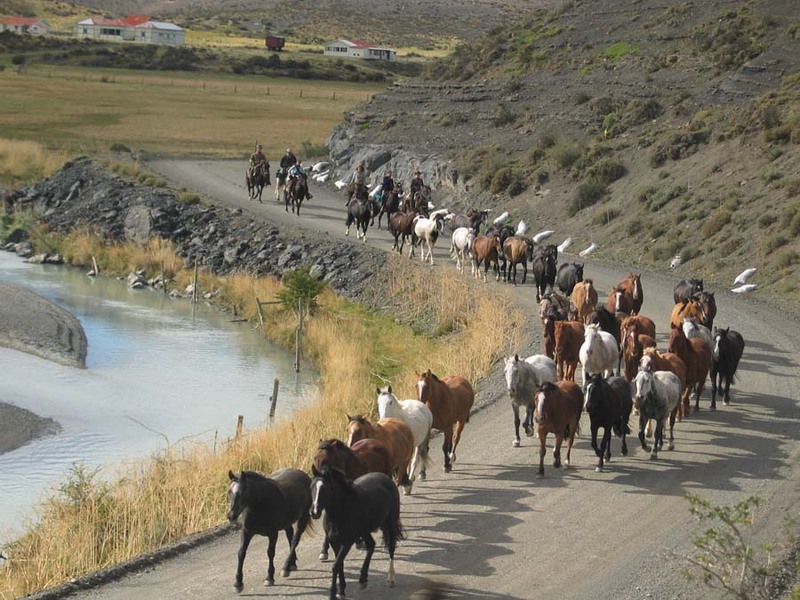 After breakfast you meet your horses and prepare for the fast ride across the pampas to Grey Lake. 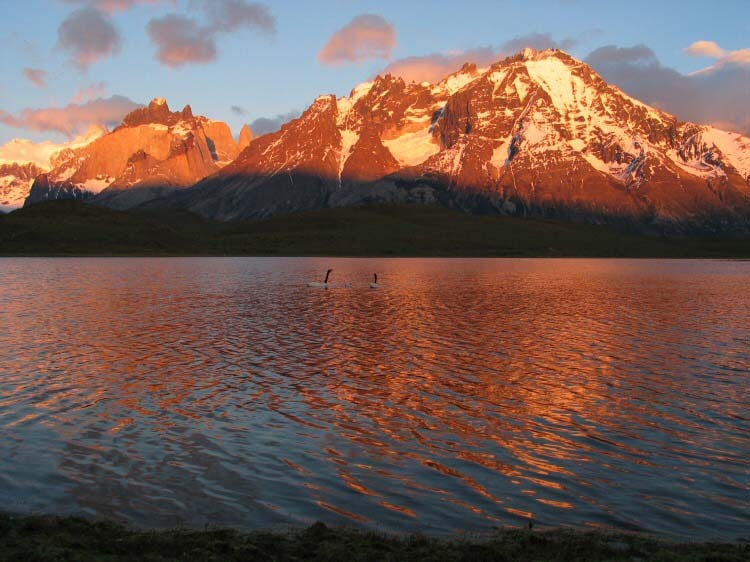 Your view will be dominated by the jagged granite peaks of the massif as you ride out along the Grey river towards the largest glacier in the park, Glacier Grey. 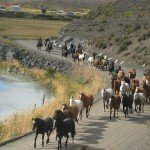 On reaching the trail head you tether the horses and walk across a swinging footbridge to Grey Beach. Grey Glacier protrudes off the southern ice field and is quite simply a wonder of nature. Measuring 28km in length and covering a surface area of 270 square km it towers almost 35 metres high. 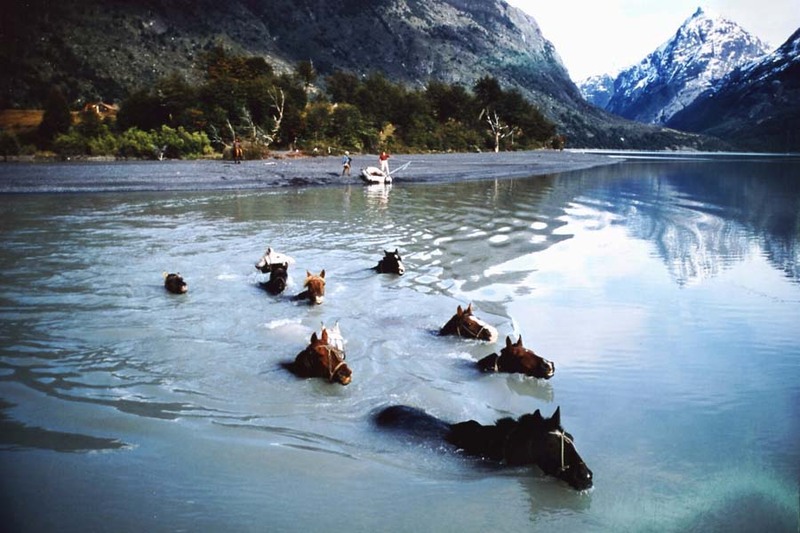 After some time walking along the beach and taking lunch, you walk back to the horses for the exciting ride back to the Serrano River. 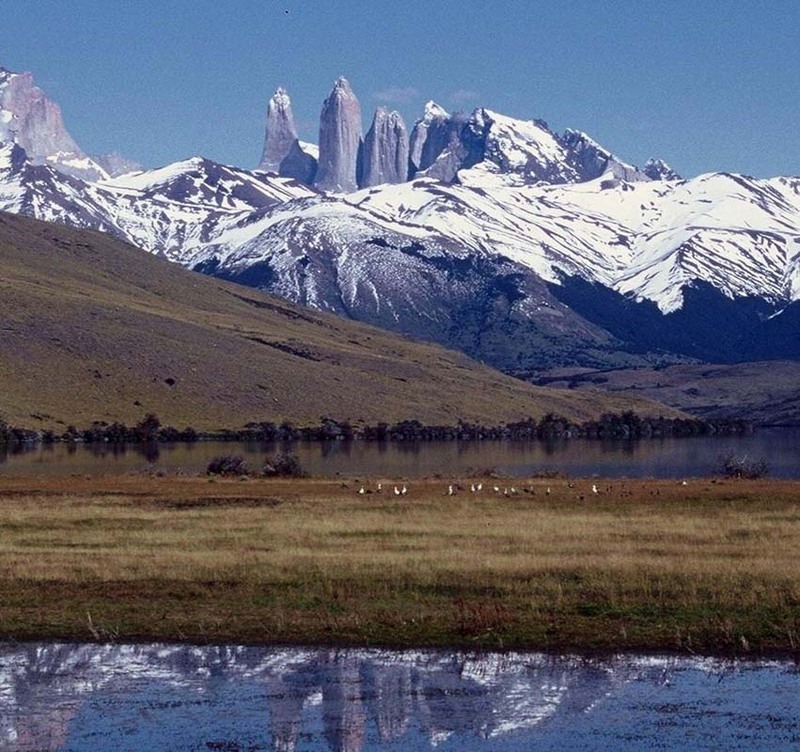 (If interested, there is an optional excursion available across the lake towards the face of the glacier. The boat trip is weather reliant and cost is additional tbc at time of booking, which is payable locally). After a wholesome breakfast and packing up you will start riding eastwards towards the heart of the park. 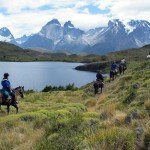 You will now be riding directly towards the Paine Massif mountain range so the views are dramatic and beautiful. 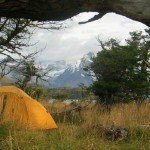 The trail skirts the southern edge of the mountains on a rarely trodden path as you pass azure and turquoise lakes with huge granite mountain peaks behind. 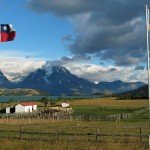 After a picnic lunch taken in one of the pretty valleys you continue east to the beautiful soft pampas of the Patagonian steppe. 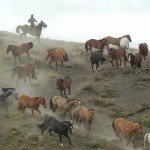 Here you have the chance for nice long canters as the light fades and the shadows lengthen before arriving at your destination, the intimate and authentic Estancia Tercera Barranca. 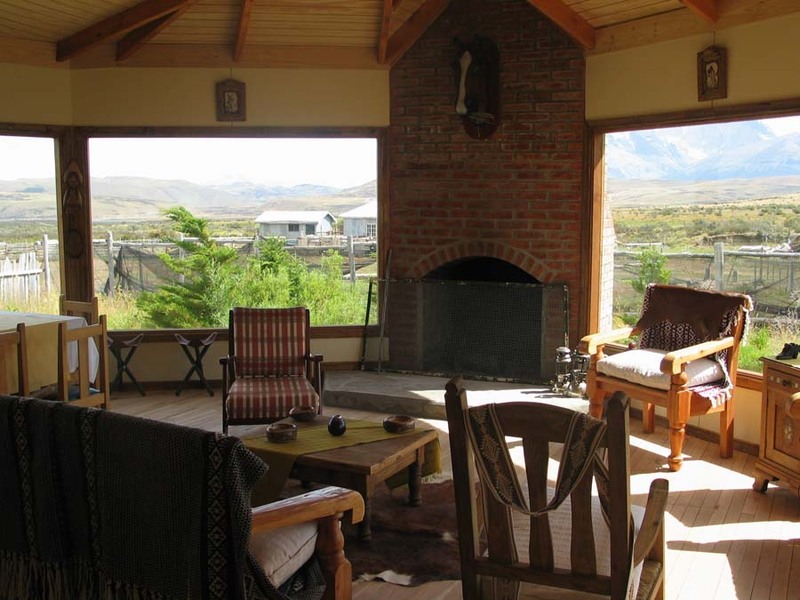 Typical of the estancias in the area, Estancia Tercera Barranca is a working sheep ranch situated in an enviable position on the park border offering fantastic views of the granite mountains and of the Paine Massif. 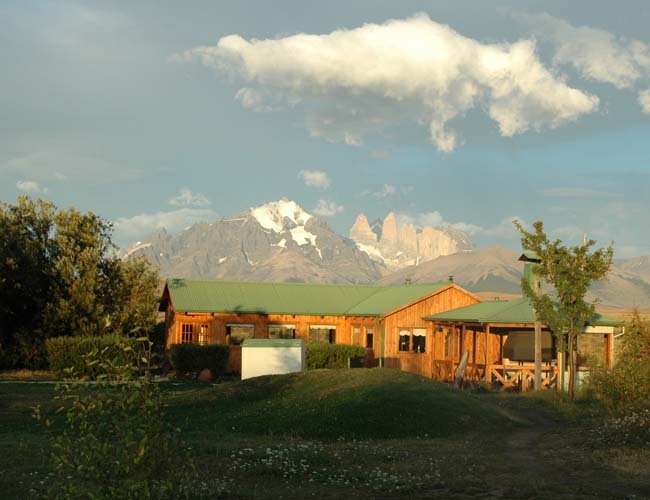 With land extending to 6,454 hectares it offers quality accommodation in addition to its continuing work as a Patagonian ranch. 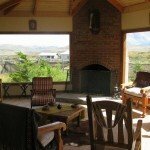 Sleeping just 14 guests in 7 rooms the ranch house has a lovely intimate feel. 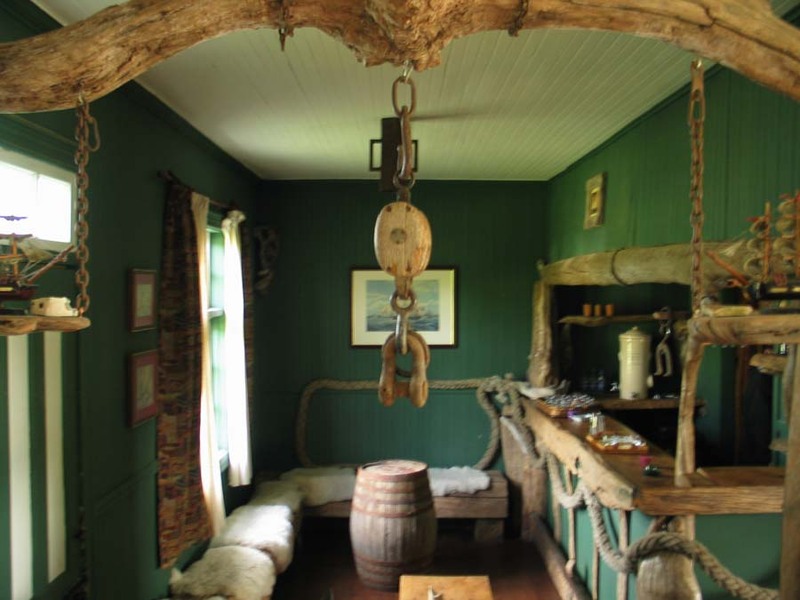 There is a comfortable living area warmed by the welcoming log fire where you can read and relax before dinner which is served in the adjacent wooden quincho. 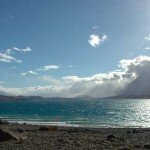 Today’s ride takes you west towards the peaks of Torres del Paine as you approach the stunning deep blue waters of Laguna Azul framed by the towers themselves. The ride takes you through native forests and grassy flower-filled meadows as you follow the shoreline around the lake. 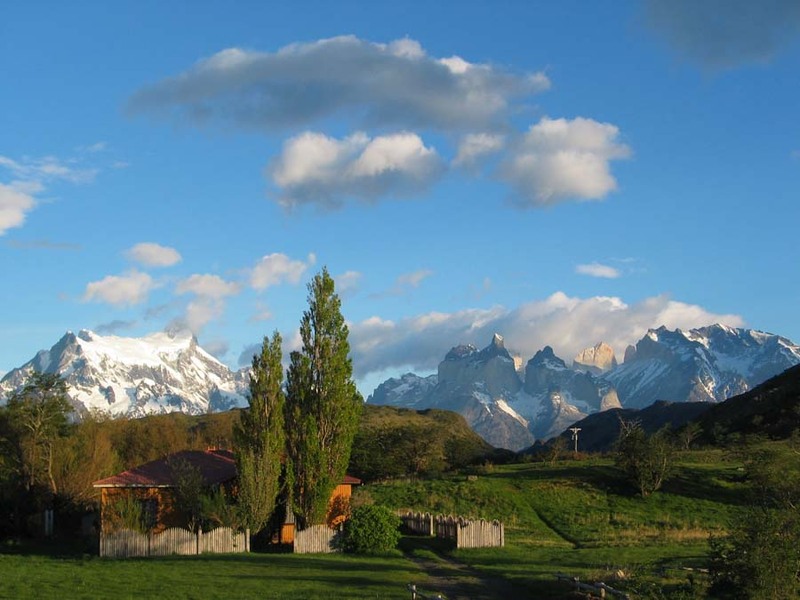 Then head south, crossing the area known as Canadon Macho which is normally inhabited by large breeding groups of both Guanaco and Rhea. 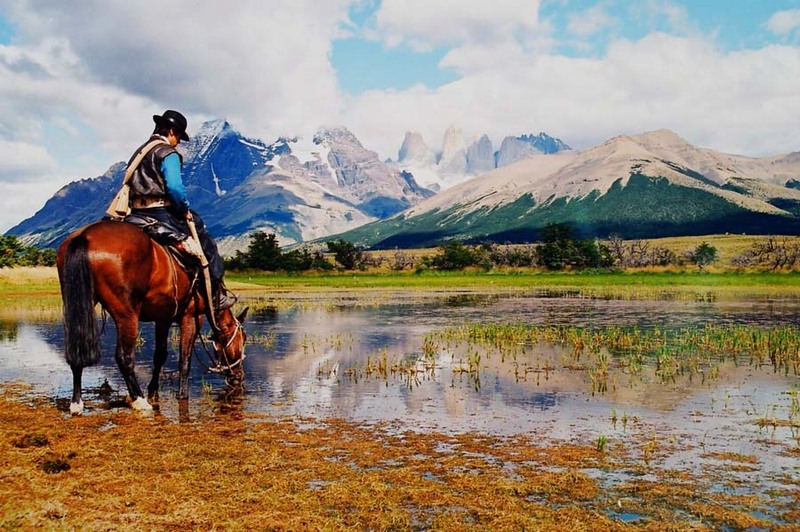 Continue riding south before dismounting and walking out to see the beautiful Cascada Paine, a very pretty waterfall where glacial water thunders over the rocks in its journey through the park. 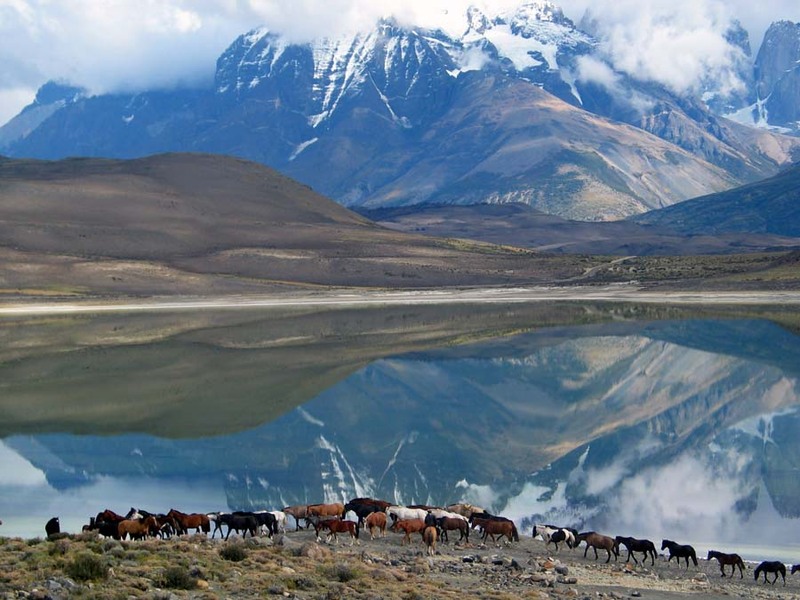 Remount and ride past Estancia Laguna Amarga and the salt-encrusted shores of Laguna Amarga (bitter lake) with its emerald green waters acting as a mirror for the surrounding mountains which reflect in its surface. 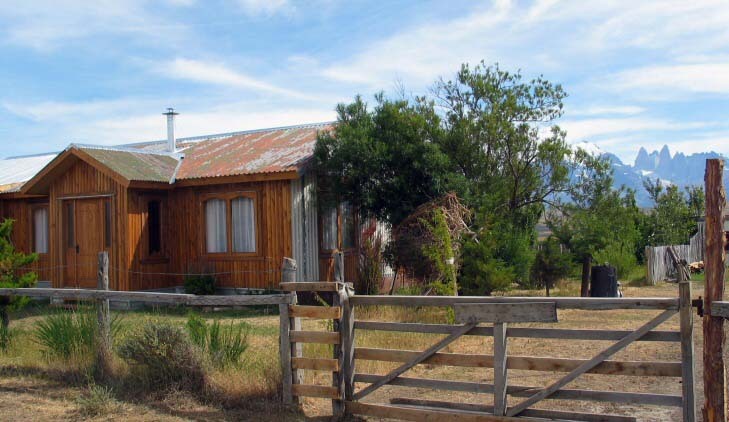 Continue on a different route back to Estancia Tercera Barranca for a second night. 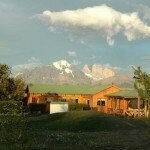 Today you will be transferring by vehicle to Estancia Las Chinas situated in the heart of the Sierra Baguales, a wild mountain chain that extends from the north eastern limit of Torres del Paine penetrating the border into Argentina. 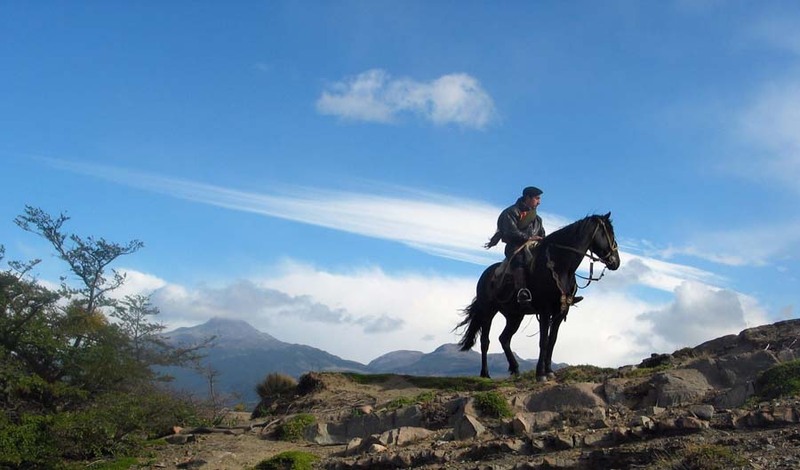 The name of the mountains 'Baguales' translates to mean domesticated animal gone wild, such as a cow, bull or, in this case, horses. 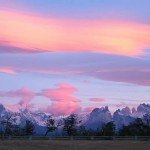 Its distinctive peaks of basalt are cathedral-like in their forms and the area is also famous for its marine and land fossils which document the passing of geological eras. 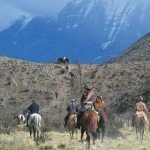 Here you meet your horses for the ride out into these grand peaks, climbing high up towards the Tetas Las Chinas where, with luck, you may spot the famous wild horse herds of the Sierra Baguales. 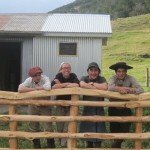 After a few hours riding, return to the estancia house for tea before driving back to Estancia Tercera Barranca for dinner. 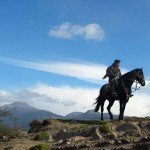 Today you once again join your horses and baqueanos for another full day ride. 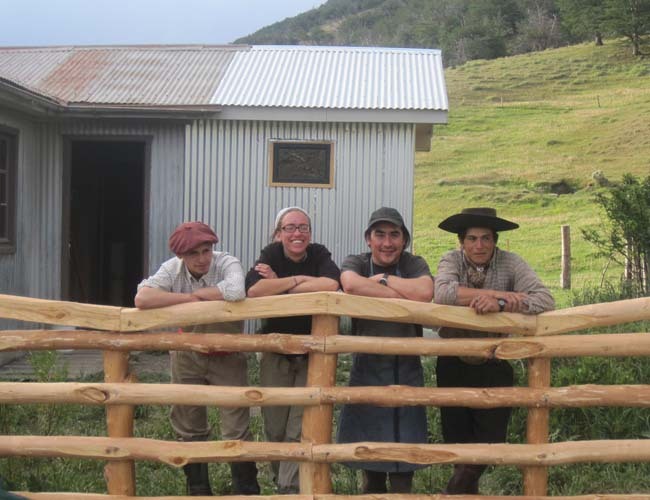 This time you are heading south to the outpost town of Cerro Castillo. 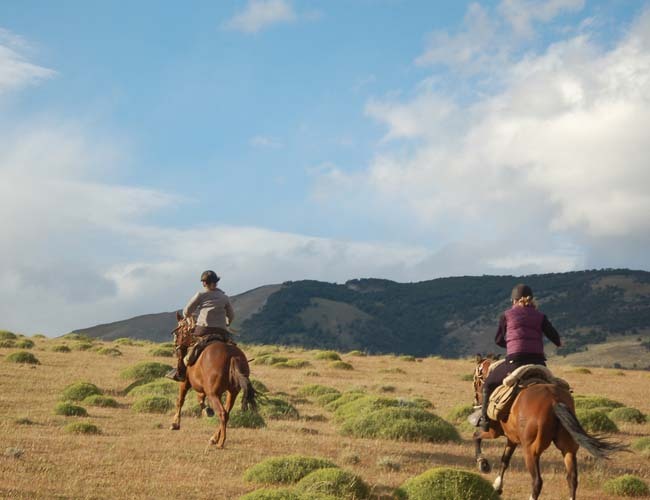 This is a beautiful open ride across grassy meadows and welcoming pampas. 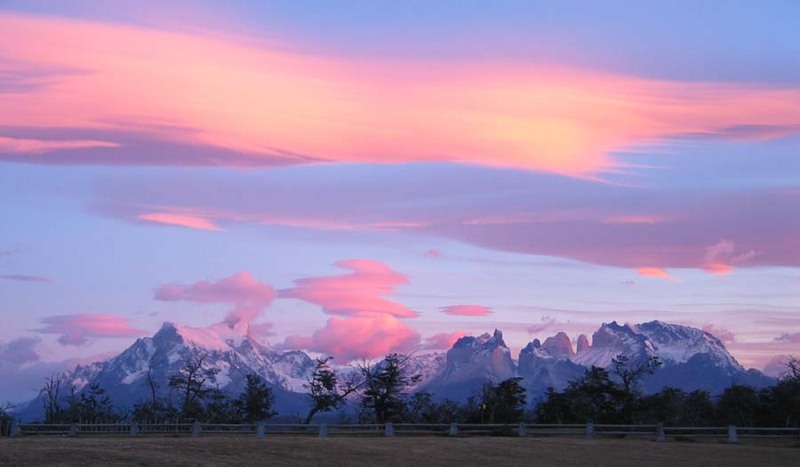 Riding south with the dramatic Paine mountains to your right enables you to fully appreciate the distances that the original pioneers encountered and which the estancieros still encounter to this day. There should also be opportunities for lots of long canters! 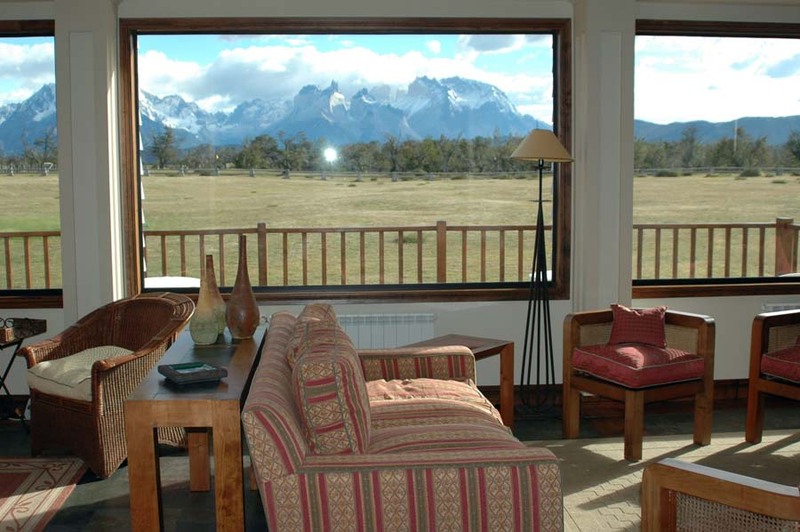 During late afternoon, after a leisurely picnic lunch and an afternoons riding, you will see the welcoming sight of Cerro Castillo come into view. 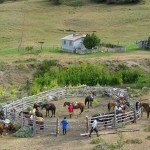 Here you say goodbye to your horses and jump into the minibus for your transfer to Laguna Sofia (c. 30 mins). 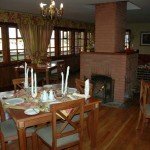 The comfortable country house, situated next to the fabulous Laguna Sophia, has a huge roaring fire and big soft sofas which invite you to relax and reflect on your holiday experiences so far. 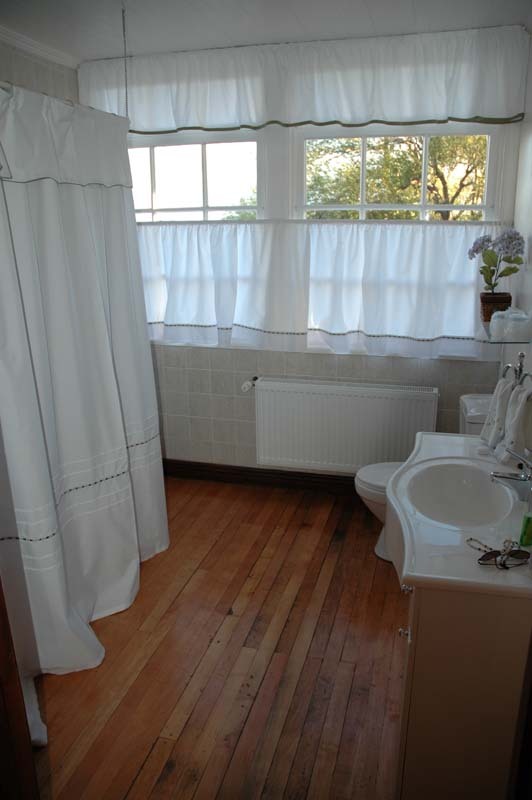 The river not only provides the water but also powers a turbine which enables electricity and hot showers. 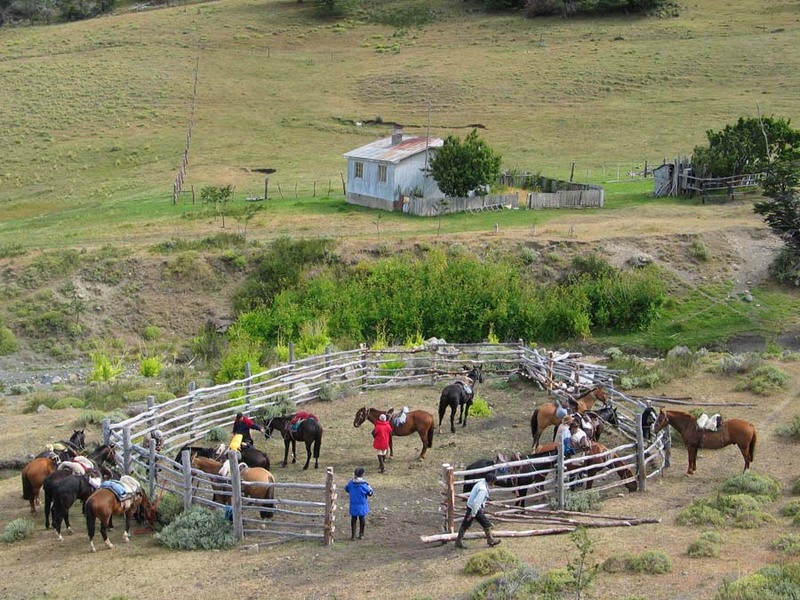 After a breakfast you saddle up for your final days riding to the gaucho hut in Vega Senoret. 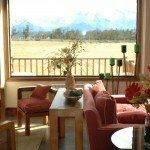 Along the way you go around Laguna Sophia, bordering the Sierra Senoret, with great views of the mountains around you. 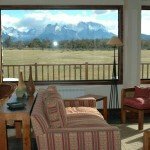 At Vega Senoret you will have your final view of the Torres del Paine mountains and Cerro Ventana (Window Hill). 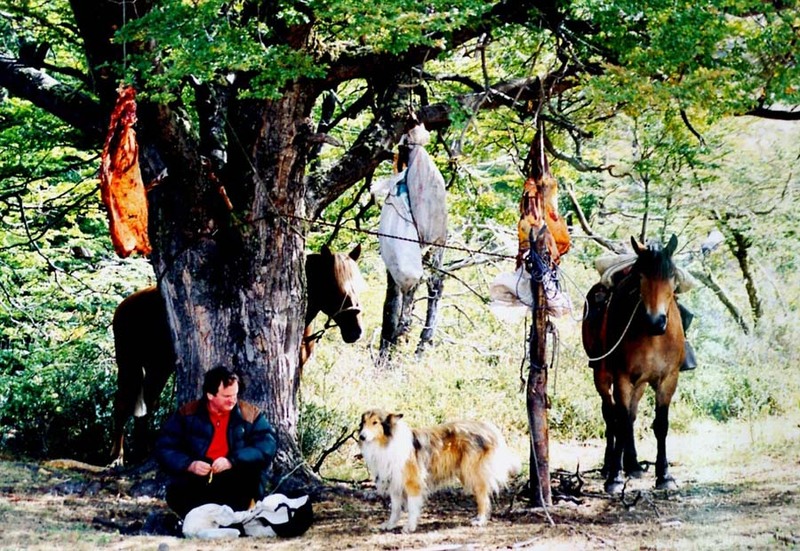 Lunch is taken at the gaucho hut – a small puesto located in the middle of the valley where gauchos stay during the summer to look after their cattle. 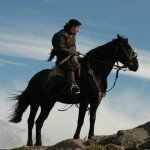 Depending on the time available and the weather, you may be able to ride for a further hour and a half to a condor area where you will be riding at the same altitude as they are flying! 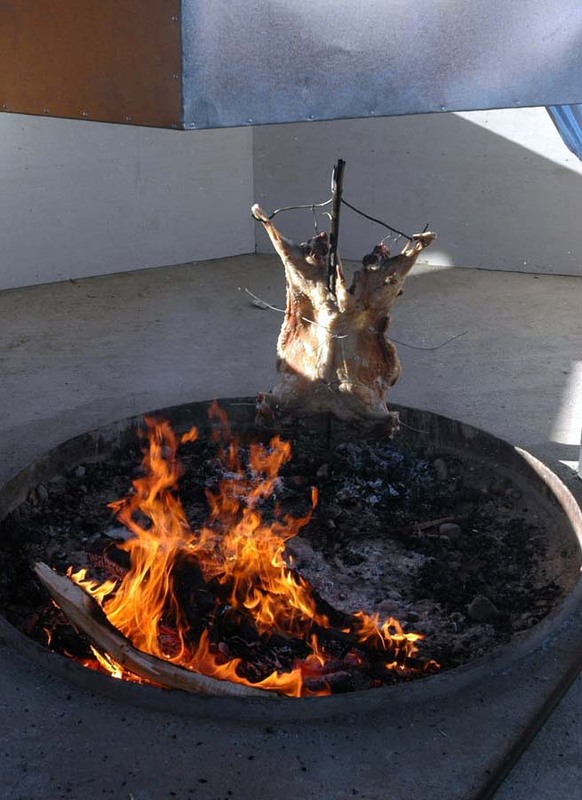 Return to Laguna Sophia where a typical Patagonian asado dinner will already be cooking in preparation for your final meal together. 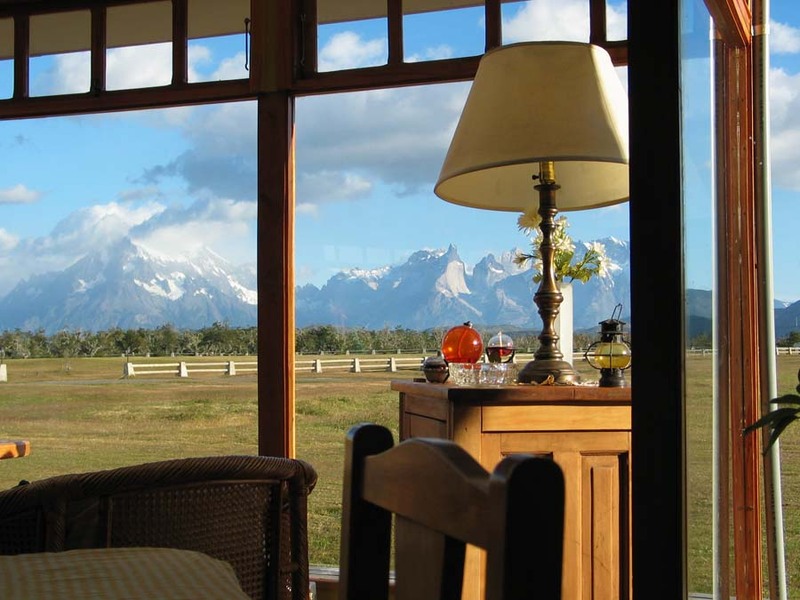 After a leisurely breakfast transfer to Puerto Natales. 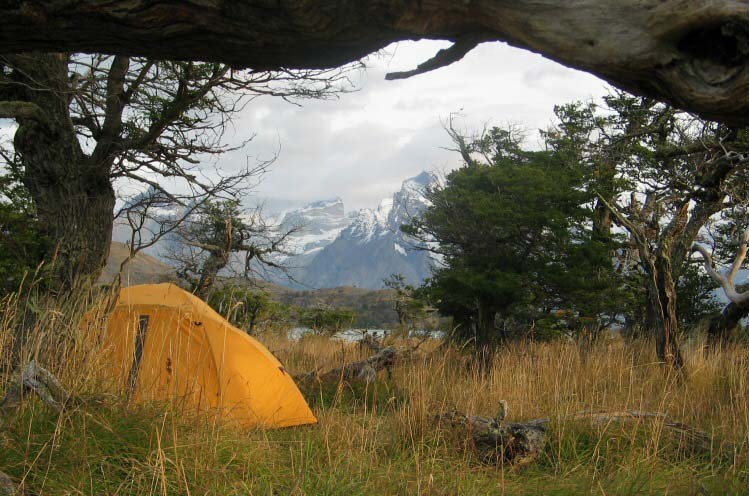 Private transfer/bus can be arranged (at extra cost) back to Punta Arenas for your flight home or onward travel. Safe home and functioning more hopefully than less. Fabulous holiday. Liver needs to go onto detox, dancing skills improved, riding and kayaking needless to say great!